To combat the estimated 8.5 million ton annual trash problem, companies across the globe are developing innovative programs and initiatives to divert f-waste from landfill. Furniture waste (f-waste), an estimated 8.5 million ton annual trash problem, is becoming the new e-waste, according to experts. And in an effort to combat this growing waste problem, companies across the globe are developing innovative programs and initiatives for diverting f-waste from landfill. One of the companies paving the path for the future of f-waste diversion is Herman Miller, a Zeeland, Mich.-based furniture designer and manufacturer. Approximately eight years ago, Herman Miller developed its rePurpose Program, which deals with surplus corporate assets through a combination of resale, recycling and donation. The program, which is managed by environmental firm Green Standards, helps companies meet sustainability goals and while aiding nonprofits by providing them with items they may normally have a hard time getting, such as large amounts of desks and chairs. Over the years, Herman Miller has ramped up its sustainability efforts by creating products that are considered cradle-to-cradle in terms of the materials they are made with. Additionally, the company has worked to make its products easy to disassemble, ultimately giving the products a longer lifespan. With the new partnership, GM, Green Standards and Herman Miller will repurpose tens of thousands of pieces of office furniture and equipment from GM’s multi-site campus decommission into $1 million in donations to approximately 100 Michigan-based nonprofits over the next two years. One of the beneficiaries of this initiative is Cody High School in Detroit, which has had a relationship with GM for six years. 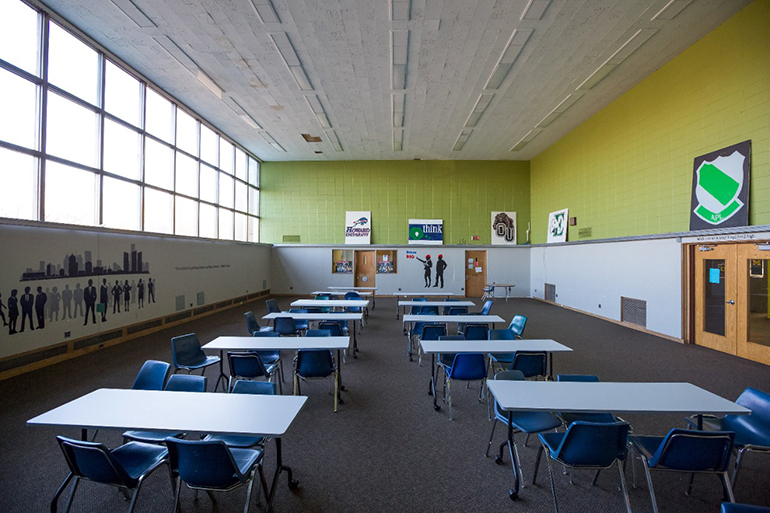 In addition to obtaining furniture and equipment from GM’s decommission, the school will receive a three-room makeover to enhance the educational learning experience of both students and faculty. To date, GM has diverted approximately 550 tons of office materials from landfill through the rePurpose Program, and its goal is to divert more than 2,000 tons of materials from landfill. Additionally, Green Standards has diverted more than 30,000 tons of furniture and equipment waste from landfill since 2009. Another company diverting f-waste from landfill is Concord, N.H.-based IRN: The Reuse Network, which operates a worldwide matchmaking service for surplus furniture from U.S. schools, companies and hospitals. 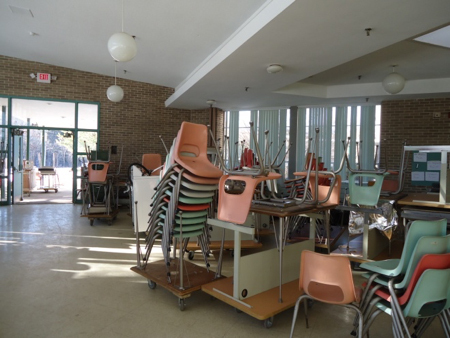 IRN pairs organizations looking to donate their furnishings suitable for reuse with U.S. and international charities. Once pairings are made, IRN arranges trucks or tractor-trailers to come to the project site, hires a moving crew and ships the furnishings to the paired charity. “In 2016, we shipped approximately 7.5 million pounds of furniture to 107 nonprofit recipients, and our goal for 2017 is to ship 10 million pounds to charities across the globe. No matter how much we can find and ship, the need in the U.S. (and worldwide) is a thousand times more than we can ever provide,” says IRN CEO and President Mark Lennon. The 7.5 million pounds of furniture was collected from 39 companies, six healthcare systems, 14 elementary and secondary schools and 35 colleges and universities in 27 states and a Canadian providence.